I discovered Chinese bakeries when I was six. There was one next to my grandmother’s apartment in Taipei, and I would walk there every morning to buy breakfast. I would immediately see at least twenty different types of bread – neatly stacked, some so fresh steam fogged against the glass shelves. There were so many varieties, from sesame buns to raisin twists, that I didn’t know where to begin. Naturally, I ignored the healthier options and ran straight for the cake, flat-out refusing to leave until my parents bought me a slice. As a Taiwanese-American, I’ve grown up around Chinese bakeries. Each bakery is different, but there’s usually one common thread that binds them together: clear flaps or long rows of glass shelves stacked high with different varieties of sweet and savory treats. The endless varieties of buns, pastries, and cookies showcase all that these Chinese bakeries have to offer, and highlight the diversity of Chinese cuisine. To sweeten the deal, the prices are also unbeatable, with everything in the store costing less than a dollar. There is an endless supply of bakeries in Chinatown, but the one I go to most often is Bread Top House. As soon as I enter, the fresh smell of bread surrounds me. There are happy customers everywhere, munching on pastries and lining up to place their orders. Within a few minutes, I’m back on the street again, loaded down with different buns and cakes. Yes, it’s only 8 AM. Yes, I am eating cake anyways. For Chinese bakery beginners, I’ve compiled a brief flavor guide of my favorite treats. 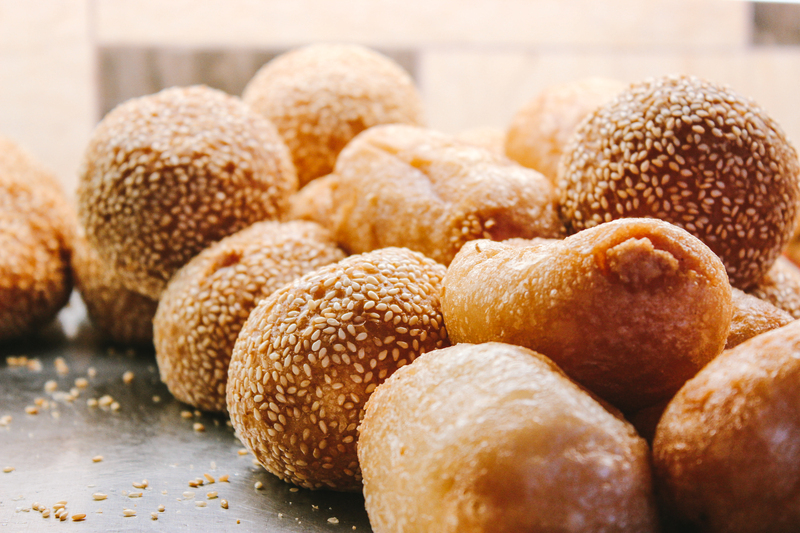 You can find these in almost any bakery, so keep them in mind next time you’re wandering through Chinatown. There are also a few ordering tips for maximizing your bakery trip, so you too can become a bakery regular. Egg Tarts: A staple in any Chinese bakery. 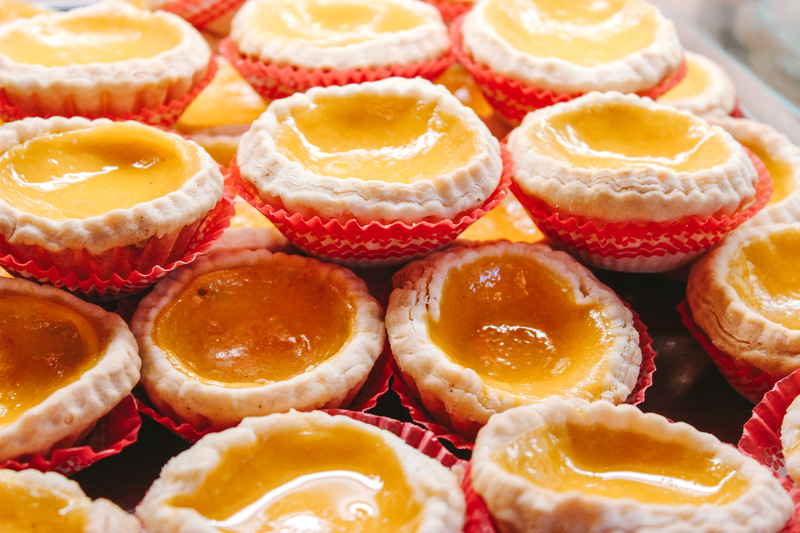 Egg tarts were first created in Guangzhou, a city in China, where the bakers drew inspiration from fruit tarts. The flaky crust is a perfect contrast against the sweet, firm egg custard in the middle. Butter Cream Buns: These pastries originated in Hong Kong, and are characterized by a split down the middle, which is usually overflowing with butter or whipped cream. There are also coconut shavings sprinkled on top. Roast Pork Buns: Let’s say you’re in the mood for something savory: the roast pork bun is for you! On the outside, the bread is nicely toasted, which contrasts with the soft filling. The pork inside is chopped into smaller pieces and doused in a thick, rich sauce. Carry cash: Many Chinatown bakeries either don’t accept card or have a credit and debit card minimum. Trust me – all you need here is a ten-dollar bill and some change, and you have breakfast, lunch, and dinner for the next two days. Always branch out: There are several Chinese bakeries in Chinatown, so I would highly recommend jumping from place to place until you find the one you like the best. While the staples are all the same, there will be some variations in taste and flavor! Some of the local die-hard favorites include Mayflower Bakery, Hong Kong Bakery Shop, and KC’s Pastries. Don’t be afraid to try something new: It can be easy to stick to older, more familiar favorites (I’m guilty of this – I literally get a butter cream bun at every Chinese bakery I step into.) Still, branch out! Be adventurous! Try the coconut cream buns, the almond cookies, and the roast pork buns. In fact, try one of everything! It’s been a long week. You deserve it.